WASHINGTON , DC, USA, September 12, 2018 /EINPresswire.com/ — According to the Oregon Construction Defect Center, “It is unlikely that a homeowner who moves into a recently built single family home in a subdivision or townhouse project in Oregon is going to be looking for serious construction defects. They may make calls to the builder about paint touch up or a malfunctioning appliance. Rarely will they notice roof defects, siding issues, or other serious construction defect issues. As we would like to discuss anytime at 866-714-6466, if the new homeowner fails to see these types of issues the costs can be in the thousands of dollars down the road, and they should not expect the home builder to voluntarily show up with the company check book to fix the issue. * Water leaks due to improperly installed or defective siding. * Improperly installed windows that create water leaks or the windows are impossible to open or close. * Defective interior wood flooring. * Exterior doors that were improperly installed that lead to water leaks or difficulty opening and closing. * Improper exterior calking of exterior siding that has resulted in water leaks and or mold. 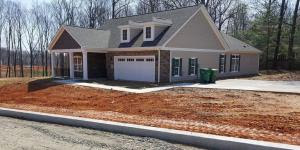 The Oregon Construction Defect Center is urging homeowners in subdivisions or townhouse in Oregon not older than two years to call them anytime at 866-714-6466 if they have construction defect issues that the home builder failed to fix, or now refuses to fix. WASHINGTON, June 5, 2018 /PRNewswire/ — According to the Oregon Construction Defect Center, “We are urging a homeowner in a newer subdivision anywhere in Oregon to call us at 866-714-6466 if their home builder is now refusing to repair roof leaks, failed or defective windows and or doors that no longer close properly. Based on our experience, if a homeowner in a newer subdivision is experiencing an issue like water leaks involving their home’s doors, windows or roofing, other homeowners in the same subdivision are probably having the same types of problems. Other issues could involve rotting or moldy fascia board or trim board around the home’s exterior, improper exterior calking, or serious concrete slab cracks. Water leaks due to improperly installed or defective siding. Improperly installed windows that create water leaks or the windows are impossible to open or close. Exterior doors that were improperly installed that lead to water leaks or difficulty opening and closing. Single family homes in newer subdivisions that now have mold because the building was not protected during the framing/drywall process. Improper exterior calking of exterior siding that has resulted in water leaks and or mold. The Oregon Construction Defect Center is urging homeowners in subdivisions or townhouse in Oregon not older than two years to call them anytime at 866-714-6466 if they have construction defect issues that the home builder failed to fix, or now refuses to fix. Frequently, home builders offer a one-year warranty and then refuse to repair obvious construction defects after the homeowner has been in the home for more than twelve months. The group is urging a homeowner in a subdivision, or townhouse in Oregon to call them anytime if they have these types of issues. One of the integral parts of construction defects in Oregon is wind driven rain events that cause waters leaks or roof leaks in a home if it has not been properly calked and sealed. http://www.oregonlive.com/weather/index.ssf/2018/03/portland_metro_thursday_weathe_89.html.